Principles of Marketing teaches the experience and process of actually doing marketing—not just the vocabulary. It carries five dominant themes throughout in order to expose students to marketing in today’s environment: Service dominant logic, sustainability, ethics and social responsibility, global coverage, and metrics. NOTE: This book was updated on January 20, 2017. Any reviews posted before this date are based on the older edition of this textbook. Principles of Marketing cover by University of Minnesota is under a CC BY-NC-SA 4.0 International Licence (http://creativecommons.org/licenses/by-nc-sa/4.0/). Principles of Marketing by Jeff Tanner, Baylor University, Mary Raymond, Clemson University is licensed under a Creative Commons Attribution-NonCommercial-ShareAlike 4.0 International License, except where otherwise noted. This American Principles of Marketing text covers all the key areas & ideas normally included in a first year College/University Introduction to Marketing course. Rather than structuring the text around the 4Ps or traditional Marketing Mix, the authors follow the premise that marketing is composed of four activities centered on customer value: creating, communicating, delivering, and exchanging value. The text does not include a Table of Contents, Contents in Brief, or Glossary and/or Index. Marketing concepts are defined/explained/discussed accurately. All the examples are American, so not as relevant for Canadian students. Similarly, the Environmental Scan and ethical/legal segments are all based on American trends and laws/business practices. In general, the examples tend to focus on large corporations. More examples from medium/small businesses, as well as not-for-profits, would help to provide a broader perspective for students. Based on the scale below: content is accurate, but has a very American bias. 1. The three chapters on marketing communications. Marketing communications has been and is continuing to change rapidly, and as a result, it is difficult for text books to remain current. Having said this, I believe that it would be relatively easy to make regular updates to the marketing communications chapters. 2. Although the Distribution chapter is up-to-date, it is lacking in its coverage of distribution as it relates to services, as well as retailing. 3. Perhaps most importantly for Canadian students, is the fact that all the examples and all sections that relate to legislation/business practices in the current text are American. It would be more time consuming to up date the text to reflect the Canadian marketing environment. 1. Include more visuals. The current charts/graphs are small and difficult to read. Many of the figures lack sufficient detail. Visuals serve to summarize concepts at-a-glance and help students to understand/recall a concept. 2. Provide a variety of examples to illustrate concepts. 3. Make better use of formatting to ensure students can see quickly key concepts and definitions on a page, for instance, make better use of headings & subheadings and include key concept definitions in the margins of the page. 4. In addition to the summaries at the end of each section within a chapter, include a final end of chapter summary. Yes, the text is internally consistent in terms of terminology and framework. The text presents the marketing mix in terms of four activities or components of marketing: creating, communicating, delivering, and exchanging value. There are 16 chapters in the text which corresponds nicely with a typically 14 week semester. Ch. 1 - What is Marketing? It would be easy and straight forward for an instructor to change the order that these topics are covered in a semester, should he/she wish to do that. 1. Put ch. 15 - Price right after ch. 7 - Developing & Managing Offerings. Pricing is a very important marketing concept, and it makes most sense to discuss how to price products/services/offerings right after they are covered in the text. 2. Move ch. 10 - Marketing Research to right after ch. 2 - Strategic Planning. Ch. 2 covers environmental scanning, so it is important for students to learn how to research trends and find information required for planning. Otherwise, the order of the chapters is fine. I have been working with a print version of the text. A suggestion to make navigation through the print version easier would be to include a Table of Contents, Contents in Brief, and Index/Glossary at the end. Images/charts are small and difficult to read in the print version. Many subheadings sit alone at the bottom of a page. Need to format so that a subheading appears with some or all of the body copy. Also, some chapters begin on the same page that the previous chapter ends. It would be better to start a new chapter on a new page. In several instances, whole pages were simply lists of sources. It is important to cite sources, however it would be better to include these lists of sources at the end of a chapter, rather than in the middle of a chapter. There are relatively few grammatical or spelling errors. Please see complete list of errors in attached document. Although the text is not culturally offensive in any way, I believe there could be more examples that reflect a variety of races, ethnicities, and backgrounds. The text mentions that there is a profile of a marketing professional at the beginning of each chapter - this is not the case (no profiles are included). Including profiles of marketing professionals from a variety of races, ethnicities, and backgrounds would be one way of addressing this weaknesses. It would also be appropriate to profile different types of organizations to illustrate marketing concepts/business practices amongst different cultural groups. As mentioned earlier, this is an American text so all examples are American. Overall this text covers all the key topic areas relevant to a first year college/university overview marketing course. Most topics are covered in an appropriate amount of depth, with a few exceptions including pricing and services marketing. The Review Questions and Key Takeaways which appear at the end of each segment within a chapter and the Discussion Questions and Activities at the end of each chapter are generally good and provide students with ways to test understanding and apply relevant concepts. 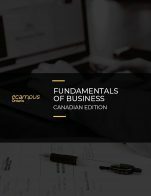 This is an American text, so an instructor would need to provide his/her students with a variety of Canadian examples, as well as Canadian content related to environmental scanning and business practices. All Introduction to Marketing texts offered by publishers provide extensive support materials for instructors and students. I'm not aware of any support materials that come with this text. There are formatting issues which have been mentioned earlier in this review, that would need to be addressed. One of the main and most obvious deficiencies of this text is that it lacks a Table of Contents. Due to this characteristic, it is very difficult to gain an initial overview of the path the book will follow. Similarly, this book does not have a glossary either at the end of chapters or at the end of the text itself. This book is very US oriented. For example, the brands and companies mentioned are of US origin. Moreover, examples of concepts are from the US perspective. For instance, there are references throughout this text about services (such as Health Care management companies) that do not exist in Canada and would therefore serve as confusing examples for Canadian students. Overall, the contents of this book are heavily biased for the US schools and those studying in the United States. The lack of a Table of Contents is both surprisingly noticeable and also a major weakness. From the outset, the book is unnecessarily complicated in its presentation of concepts. For example, suggesting the "Marketing 4 P's" no longer exist is inaccurate. The author does neglects to simply change the students perspective and explain how "the 4 P's" are to the organization as "convenient, value, communication, and providing a solution to their target market" is to the customer. The graphics are weak and not clear. For example, images are often blurry and poorly framed on the page, such as images 2.4, 2.5, 5.9. Through the book the graphics are weak. On a positive note, the audio links are a refreshing and potentially complimentary addition to the written content. For example, the audio clip on page 179 is a welcome variation from the written text. However, the contents of the clip, and the audio quality itself, are both weak. Most of the text is clearly written and easy to understand. However, there are some marketing concepts that are made unnecessarily complex. For instance, the texts discussion of the term "cannibalization" on page 201 is weak. The explanation of this concept is confusing and poor potentially misleading examples are used. Similarly, when discussing product packaging on page 201, the term "tertiary packaging" is used. Nowhere in the explanation of this term is the word "outer box," "cardboard box," "shipping box," used. Yes, the book is consistent in its layout. For example, the text consistently has very short chapter "key take aways" at the end of each chapter followed by a limited number of review questions for each chapter. Additionally, the way the book Chapters are broken down into segments is a consistent characteristic. For example, Chapter 8, which discusses distribution, is broken into 3 parts - each part focusing on a different aspect of this component of the marketing mix. Unfortunately, there are also some consistently weak characteristics of this text. Such as unnecessarily confusing examples. For instance the image of channel options on page 249 appears to be intentionally confusing to the reader. Yes, this is accomplished by breaking each Chapter into multiple parts. For example, within Chapter 7 there are 3 different sections. This is also typical of the other chapters - although some chapters may have up to 7 "sub sections" depending on the topic complexity. No, the topics in this text are not presented in a logical and clear fashion. strategies is the pharmaceutical industry. Pharmaceutical companies promote their drugs to pharmacies and doctors, but they now also run ads designed to persuade individual consumers to ask their physicians about drugs that might benefit them." This paragraph begins by introducing the concept of "push marketing communications" and provides a very very short description of this concept - as it "focuses on creating demand for a product among consumers..." However, the following example given in the text which should be aimed at simply providing an example of this concept (such as TV commercials we see on TV) does not exist. Instead, the example discusses how push and pull marketing are different. The above exemplifies how this book does not clearly present concepts to readers. There are no significant interface issues that would confuse the reader. There are no significant grammatical errors although the grammar is arguably unnecessarily casual. "Selecting the best marketing channel is critical because it can mean the success or failure of your product. One of the reasons the Internet has been so successful as a marketing channel is because customers get to make some of the channel decisions themselves. They can shop virtually for any product in the world when and where they want to, as long as they can connect to the Web. They can also choose how the product is shipped." "Deciding the best marketing channel(s) is critical because this selection heavily influences the success or failure of your product. One of the reasons why the Internet is so successful as a marketing channel is because of the convenience it offers customers. Through the use of the internet customers can shop virtually for any product in the world when and where they want to, as long as they can connect to the Web. Customers can also choose how quickly the product is shipped." I could not see any instances where the text was culturally insensitive or offensive. This book, has a number of weaknesses. Most noticeably, lacks both a table of contents and a glossary. The absence of a Table of Contents makes it difficult for the reader to gain any understanding of how the author approaches the topic of marketing, and the process the book follows. This book is not appropriate for Canadian students as it lacks any significant reference to Canada. In fact, consistent references to the US market place may also be confusing to Canadian students. The graphics of this book are weak and distracting from its content. This book does have some innovative features, such as links to on-line audio files. However, the audio clips tested were characterized by poor audio quality and poor content. This text has covered not only the basic information of marketing, but it provides a easy to find boxes for marketing terms definition and explanation. 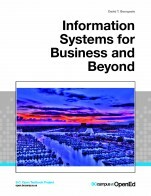 However, there are some parts are missing in this textbook such as Table of Contents, Glossary, and Subject Index. Although the textbook does cover some global marketing issues, I would like to have a chapter that can cover more important international marketing concepts so students can connect to the international marketing picture. The contents in this textbook are very well organized, so the reader can easily read through each chapter. There are couple things that I like this textbook, for example, this text does cover some global marketing issues and social media strategy which are the most popular topic in today's marketing environment. 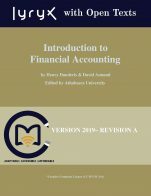 This textbook offers 10 chapters which is perfectly fit into college teaching calendar as well as student's time table. The content of each chapter has accurately explained the basic marketing terms and concepts, which are easy to follow and enable students to organize marketing concepts easily. The textbook can be improved by adding case studies and video cases. Although there is a section for review questions after each chapter (although some chapters do provide video link in activities section), students can apply what they have learned in case studies discussion in each chapter. Especially, if there is video case, it will interest to students for learning. I think this textbook has done a good job for using heading and subheading when explain specific marketing terms and concepts in each chapter. And the author used a commonly understood business language to explain marketing terms and this is extremely important when students began to learn the idea of marketing. In the textbook, students can use the Takeaway and Review Questions section help them for developing a critical thinking. I have shown this textbook to my marketing students and they said they can pick up the main ideas very easily from any section. When compared to other marketing textbooks, I found this text has adopted a similar pattern to introduce marketing terminologies and frameworks in each chapter. I think it has covered enough marketing ideas for my college students. One of the strength of this textbook is that the text presents in a way that readers can easily understand the marketing concepts in a short papragraph. My point is each heading and subheading is precisely says what it means for the following text. The overview of each chapter is given, so I am sure that the readers can increase their understanding toward the idea of a specific marketing topic. I think the complex marketing term or concept can adopt the similar strategy by giving the overview. For example, in 3.4 Psychological Factors That Affect People's Buying Behaviour can be explained better by provide the big picture in a short paragraph about what psychological factors that have a great impact on consumer buying behavior. Chapter 1: what is marketing; chapter 2: strategic planning; chapter 3: consumer behavior; chapter 4: business buying behavior; chapter 5: market segmenting, targeting and position; chapter 6: creating offerings; chapter 7: developing and managing offerings; chapter 8: using marketing channels to create value for customers; chapter 9: using supply chain to create value for customers; chapter 10: gathering and using information: marketing research and marketing intelligence. As a marketing instructor in college, I will suggest that Marketing Research topic should be introduced before Chapter 6 in stead of the last chapter. If the marketing research part can be introduced early, the student not only can understand the research process well and also they can be benefit by using those data collection methods learned from this chapter to improve the quality of their assignments or projects. In my opinion, I think there should be a chapter devote to the international business or marketing topic. 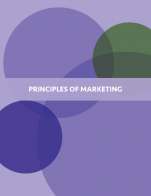 Although the international marketing concept is introduced in this textbook, it was broken down into a small section in each chapter. I would like to see if there is a chapter that discusses an international marketing issue. As for chapter name in Chapter 6 and 7' I would rename as "Creating Product" for Chapter 6 and "Product Development and Management" for Chapter 7. My reason is that these two chapters are focusing on "product" aspect which is one of the element from 4ps concept. I think one of the weakness of this textbook is lacking of important charts, graphs or figures. Most of the students are visual learners, so they learn best from the information that they see or read. Also, there are several navigation problems, for example, I can not find table of contents for brief textbook contents during the reviewing process. And, there is no glossary section for easy access if student wants to searching for important marketing concepts . In addition, there is no subject index, so the textbook can not guide the readers to an appropriate chapter for information finding purpose. I do not spot any grammatical errors as well as typos problems in this textbook.I found this text is clearly communicated to the reader, so the readers can use their imagination to understand some difficult marketing concepts. The author kept the format and length within a appropriate size , so the readability is easy. I have different opinion, I think the text should make use of more cultural examples in marketing. Since we live in multi-cultural society in Canada, so the students must know how to marketing in such environment. Therefore, it is necessary to have basic knowledge about different cultures or ethnic groups because it can help them to know what they need to do when operate business in different environment. I think I will use this textbook for my college students if there are some missing parts can be fixed (Table of Contents, Glossary and Subject Index). This textbook is very similar to other marketing textbooks that offer the basic marketing concepts and terms for students. If each chapter can include opening vignette with pictures, I think it will be more beneficial for students when learning the new marketing topic. Yes, all of the key concepts that should be taught in an introductory textbook for Marketing are included appropriately. A detailed table of contents is included which gives the reader some direction on where to find each topic. However, the textbook does not include an effective index or glossary. This is a hard statement to assess and it depends on short period of time. I would say most of the content is relevant for the next 1-3 years but sections around digital marketing, product examples as well as promotional techniques would need to be "freshened up" in a shorter period of time vs more stable Chapters include marketing research, pricing and segmentation. 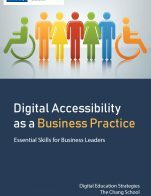 Given that each chapter represents an individual section of marketing, making updates should be easy as they are mutually exclusive in nature and in design, which is a good thing for this textbook. Agreed - all jargon is defined well with the overall nature of the prose being very conversational in nature. Good examples of such terminology are used as they are extremely relevant at the time of writing. Agreed - framework is well done as it follows the conventional marketing management process and spends time discussing topic that other textbooks do not (Customer satisfaction as an example). Each chapter flows from the prior. One improvement would be to include a visual on the overall framework and how each Chapter fits within that framework. This would help give the reader more context to the overall process. As explained, each Chapter is mutually exclusive so it would be easy to substitute Chapters to fit within a particular course. Even within each Chapter, there are relevant sections that explains the nature of the prose in sufficient detail. One area of improvement would be to finish each topic within a Chapter and have the next start on the following page. This would make things more clean when adopting a specific course reading list. Yes, very clear and logical as it follows the conventional marketing management process. Titles are clear and descriptive in nature. All pictures opened up well on my browser but as mentioned, all youtube.com videos didn't seem to work upon clicking the link. This feature should be reviewed. The reliance on blue and green colors in the text boxes at the end of each Chapter was good but might be a little dark for the reader. I did not find any inappropriate references to such. I thought the book was well written and goes into depth on some sections that other textbooks don't. This gives the instructor more flexibility. I found the examples very thoughtful and relevant for today's Marketer. The exercise problems were sufficient. Additional types of questions would be welcomed (MC, T/F) as would longer cases.